Your Responsible Supplier Partner for Oil and Gas Products. Coatings: Depending on client requests, 3PE, FBE, Zinc Coating will be applied. More coating material Soild CRA, Clad or Lined alloy steel available. 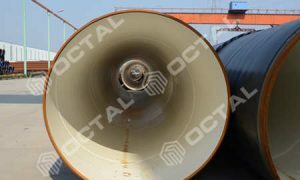 Octal offers high quality and competitive prices carbon steel pipes in seamless and welded, for mining slurry industries. 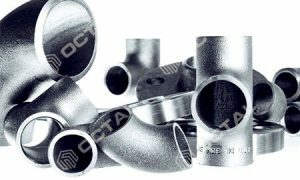 Octal offers various of carbon steel pipes including seamless, welded (ERW EFW, LSAW, SSAW) steel pipes for the mining industries. Differences between ERW, EFW pipe. ISO 3183 / API 5L Gr. 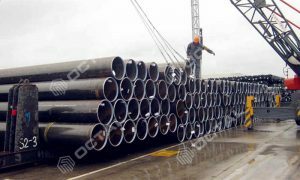 A, B, X42, X46, X52, X56, X60, X65, X70, X80 in seamless and welded (LSAW, SSAW, ERW) steel pipe, for petroleum and natural gas industries, steel pipe for pipeline transportation systems. 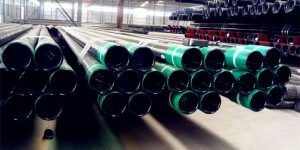 CSZ Z245 Seamless and ERW welded pipe (low-frequency electric welded pipe excluded), SAW steel pipe that intended for oil and gas pipeline systems. 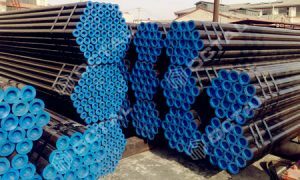 NBR 8261 Cold-Drawn, Cold-form, welded steel pipe, in circular cross-section, square or rectangular, applied to structural purposes. Mineral and slurry pipe is for the line pipe that applied in mining industries. A slurry pipeline is designated to transmit ores (Iron, Coal materials), or the industry mining waste, we called the pipeline as taillings. And generally these steel pipes connected in a long distances. Above materials mixed with water, we call slurry. People will use pumps to transport to the final destination then water will be filtered out. 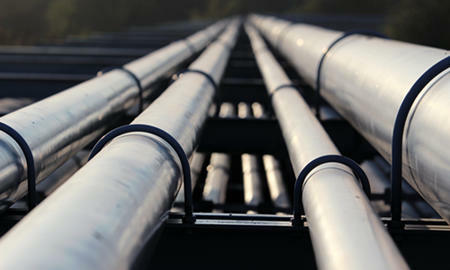 Since slurry contained different materials some with abrasive properties, so the pipe could be coated with 3PE, FBE layers to against from corrosion. 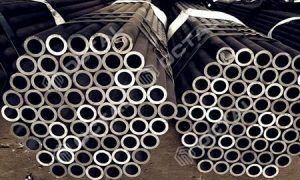 Both carbon steel pipe in seamless or welded could be used for the transmission of the slurry. So there is a wide range of material and standards available options to suit for the special working conditions. 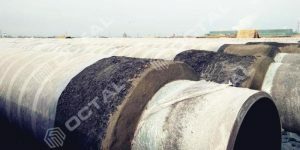 What is most common used material for the mineral and slurry pipe. 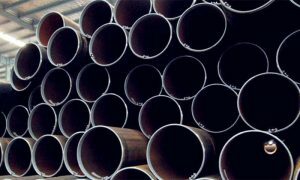 ASTM A106 pipe and ASTM A53 pipe. 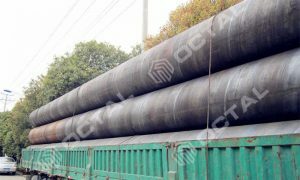 ASTM 106 pipe refers to the carbon steel pipe manufactured in hot rolled or cold drawn (rolled) seamless. ASTM A106 standard specification covers the seamless pipe that applied in high temperature services. As a result, it could used to carry the fluids (water, oil and gas, slurry), it is an important material for mining industries. ASTM A53 pipe covers welded and seamless steel pipe, in carbon black material and some cases in hot dipped galvanized (zinc coated). 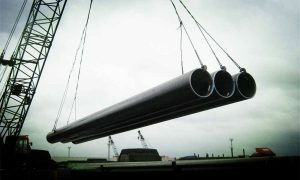 This is a basic pipe material, and it’s performances and prices also similar to ASTM A106B, or API 5L B. (We saw some pipes that they these three standards marked, call “Three standards steel pipe” ). 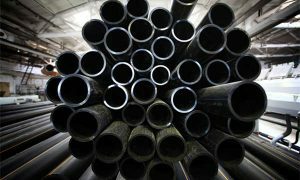 So we say A53 pipe also is widely used in mining and slurry services. 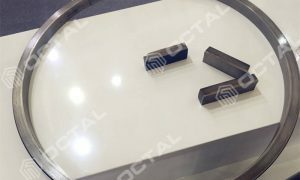 In order to increase the resistance of steel pipe in corrosion environment, Octal offers different types of coating systems to protect against from the corrosive and abrasion break. Length: 20FT, 40FT, from 5 meter to 18meters, or customized. 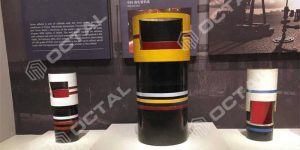 Octal is located in China recognized as a leading supplier, distributor, and manufacturer union in providing piping solutions for oil and gas company. 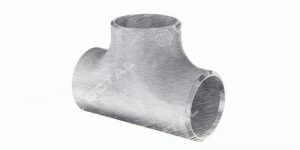 Product ranges in Steel Pipe, Casing and Tubing, Steel Plate, Sucker Rod, Steel Pipe Fittings, Valves, and Equipment for pipelines.